Financial technology provider Amount has announced a strategic partnership with TD Bank to support its digital lending services, reports Jane Connolly. 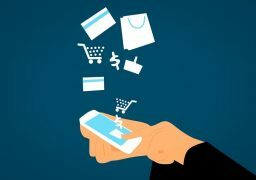 Launched in August 2018, the US bank’s TD Fit Loan allows some customers to apply for unsecured instalment loans of up to $35,000 online or through their mobile device. The initial offering enables consumers to consolidate higher-interest debt, while recognising the growing consumer demand for a fast, smooth digital lending experience. Amount says that its technology platform and digital capabilities have been used to originate nearly $6 billion in loans to more than 800,000 consumers. “Shifting consumer behaviour has set the bar high for retail banks to deliver a digital experience that is fast, secure and simple,” says James Paris, chief strategy officer at Amount.